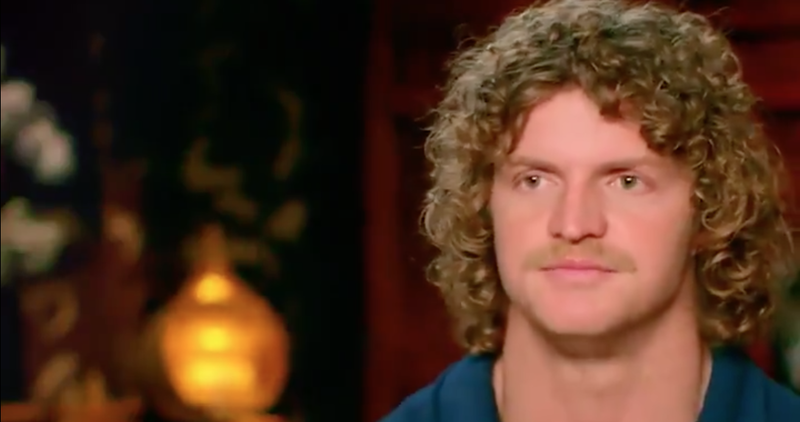 In what some might claim is a cynical and combative move, Nine is claiming it has an ‘exclusive’ with Nick ‘Honey Badger’ Cummins – the man who upset love-story-seeking and sweepstake-holding TV viewers across the country when he chose no-one to be his lady love on Ten’s The Bachelor last week. The A Current Affair ‘exclusive’ comes after Ten’s Lisa Wilkinson already sat down with The Badger on The Sunday Project, and will screen right ahead of the premiere of The Bachelorette over on Ten – how convenient and delicious. Dr Mumbo isn’t sure how it is ‘exclusive’ – given Wilkinson’s much-publicised sit-down chat has already occurred – but perhaps it is the jungle setting which gives Nine’s ACA its ‘exclusive’ edge? A press release from Nine delighted Dr Mumbo with its drama, with ACA claiming Ten’s show left viewers “reeling” and “gobsmacked”. “As debate raged over the anti-climactic finale, it was revealed that Cummins had fled Australia to avoid the media frenzy and swirling backlash,” it reads. Thankfully, “intrepid” reporter Reid Butler has tracked the rare badger down. Probably because they’re on the Kokoda track in PNG being harangued by A Current Affair, Dr Mumbo assumes, but he will have to tune in to find out. Dr Mumbo can only pray that the conclusion of The Block on Nine on Sunday isn’t “anti-climactic”, lest its subjects be subjected to the same “intrepid” treatment. Its becoming clear that all these shows are set up to get viewers in, we are all onto it, time to get real with these shows and forget jazzing them up for ratings, the obvious is becoming boring. Cummins wasn’t on the show to find love nor were the girls shocked by the outcome of the bacherlor program ,come on as if they didnt know. How about airing real realitive shows without the set up, it would be far more interesting. It’s a game of fishing. The first clips they showed tonight for Bachelorette were Ali claiming she has found love then breaking down in tears. This manufactured “drama” from all the FTA networks, hyped with their ludicrous continuity announcements, is just pure unadulterated shite. When will it ever stop. When people stop watching and writing about it, and therefore advertisers tip in huge $? I can’t understand why people were so surprised that the Honey Bachelor didn’t pick either of the finalists. How can anyone be surprised that an ex-Wallaby didn’t score.